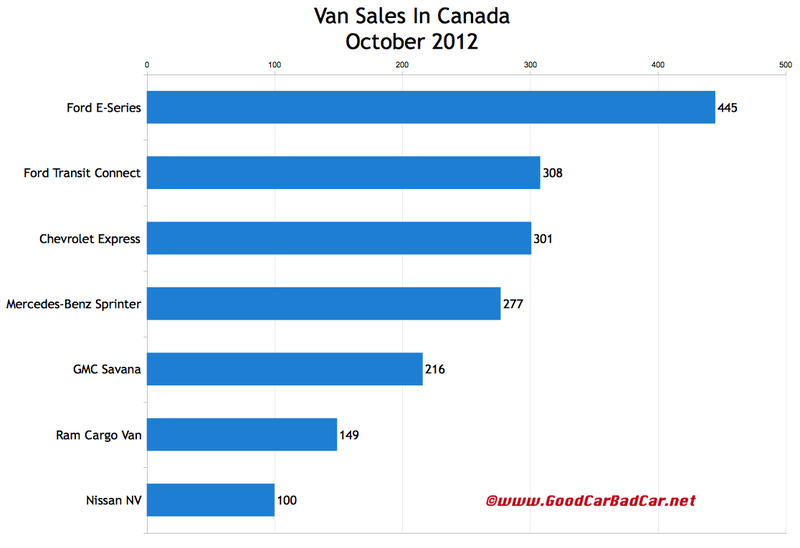 As a group, commercial vans were responsible for just 1.3% of Canada’s overall new vehicle market in October 2012. Year-to-date, the same seven vans account for 1.8% of the 1.44 million new vehicles sold in Canada. The rough October had plenty to do with the segment’s two most popular models, both of which are Fords. E-Series sales slid 5.5%, or 26 units. The Transit Connect was down 23%, equal to 92 units. Here’s hoping that Ford begins listing the it’s-not-a-minivan-but-well-it-is-kind-of-a-minivan 2014 Ford Transit Connect Wagon separately from the Transit Connect when it goes on sale later next year. For now, a Transit Connect Wagon is a rare item indeed, and sales of any passenger version of any of these vans is included in these totals. 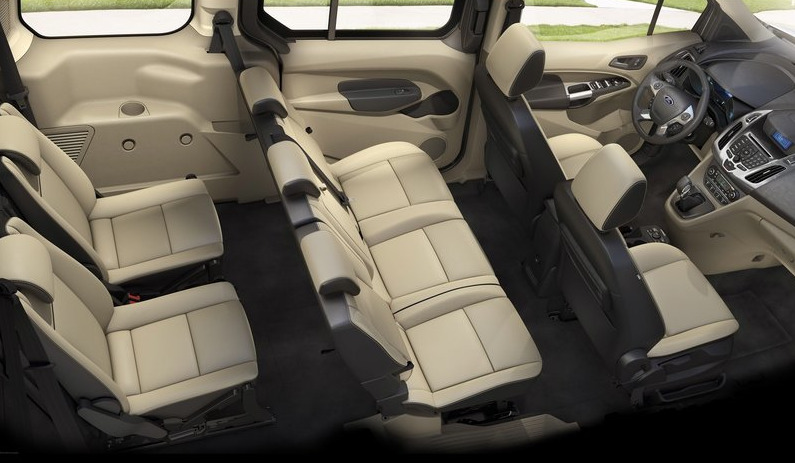 The interior of the 2014 passenger van is pictured above. Click any model name in the table below for a look at historic totals. 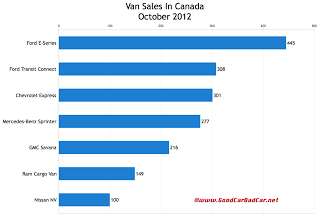 The accompanying chart ranks these commercial vans by October 2012 volume.